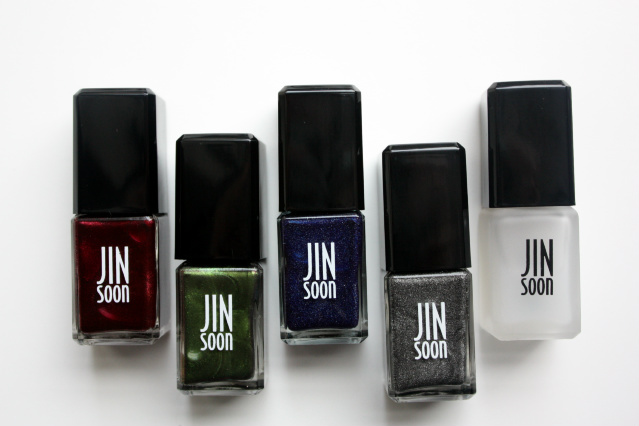 After purchasing the entire Jin Soon Spring collection - it was inevitable that when this Jin Soon x Tibi collaboration launched I would again need to have every color. If this collection doesn't scream fall, I don't know what does. The colors are deep and rich with delicate shimmer that when worn during the day is much more wearable than it seems in pictures. The texture of all the polishes is opaque with two coats and applies easily and smoothly. The piece of the collection that truly stole my heart and sealed the purchase was the matte top coat. I had seen similar versions come and go over the years, but none ever made me excited enough to want to buy - until this one. I had seen it on different bloggers on Instagram (isn't that where all the best beauty research is done?! ), and thought the finish was modern, chic and quite unique. Cut to the present where I have had some time to play with the product and can report that I am absolutely in love with how it makes my nails look. In the above pic, I used it on my thumb over the slate gray shade "Mica" and then left the same color alone with no top coat on my pinkie to show the difference. I think the matte top coat gives such a smooth and interesting effect to the polish without dulling or minimizing the color. Trust me when I tell you, this will be on my nails all winter long. Matte skin, matte nails - GIVE ME THE MATTE. 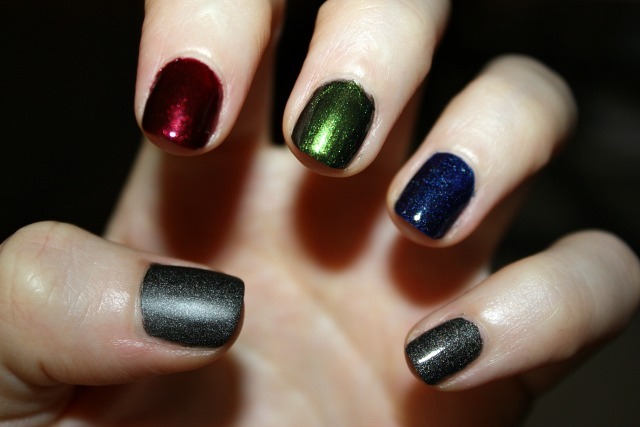 The colors from thumb to pinkie finger are: Mica (with Matte Top Coat), Jasper, Epidote, Azurite, and Mica.